We’ve worked with over a dozen different teams at Microsoft, in divisions ranging from consumer software and gaming to B2B sales and speculative prototyping. We bring a deep knowledge of Microsoft brand practices and logistical procedures to every project. Microsoft came into the heavily UNIX-based telecom industry as an underdog, trying to sell to big, traditional telco companies who measured reliability down to “five 9s” (i.e., 99.999% uptime). We helped them build a brand and sales argument, creating an entire suite of sales materials from scratch. 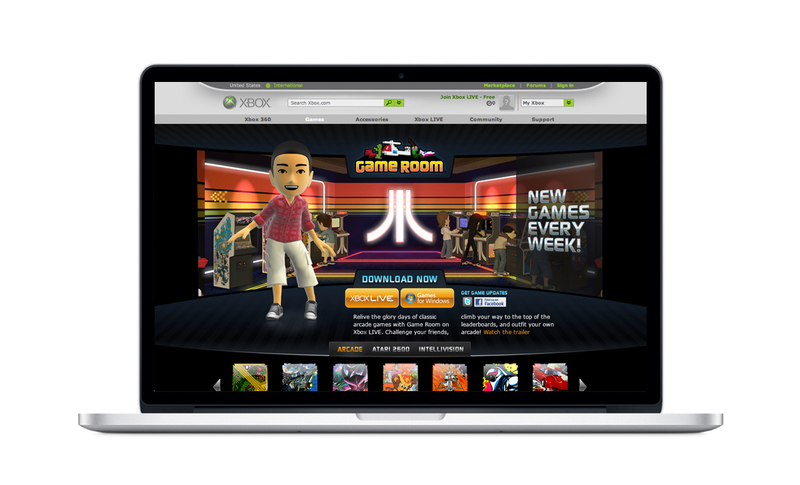 Xbox Game Room was launching in three weeks, and they still needed a destination website for the new property. The nuances of Xbox.com’s then-eight-year-old CMS system compounded the complexity the project, along with the need for weekly content updates for upcoming titles. Our experienced team attacked the challenge immediately, rapidly wireframing several solutions and then designing and iterating on two chosen paths. Working with the internal Xbox.com dev team, we were able to deliver code, troubleshoot, and help launch the site by the time the product was available. Expression Media, a photo software suite aimed at prosumers, needed a series of digital campaigns and promotions with a common look-and-feel. We worked with multiple groups to understand the business, brand, and user experience goals, then we created design solutions for the main web site, campaign landing pages, Facebook ads, installation DVDs, print ads, and tradeshow posters. When Microsoft created their new social media lab, they set out to explore how individuals stay connected to the people, information, and ideas that matter to them. We created a playful, unified mark that evokes a literal human connection, and we also worked on projects for the individual Fuse Labs project brands.